A new iMac Pro is unlikely to arrive before summer 2019. We look at what we can expect from iMac Pro 2, including processor and graphics updates, and changes to the RAM. The iMac Pro was promised at a breifing in April 2017 but there was a long wait before it was finally on sale - it arrived just days before the end of 2017 on 14 December. It's a Space Grey beast of a machine which has won rave reviews. However, with a new Mac Pro in the pipeline for 2019, what can we expect from the next update to the iMac Pro? Read on to find out. Apple announced a new MacBook Air and Mac mini at its 30 October event, but gave no hint of a new iMac Pro. We had been hoping that the next generation of Xeon W processors expected to find their way into the iMac Pro - the Cascade Lake W chips - would arrive in the second half of 2018, but now it looks as though that launch has been delayed until the second quarter of 2019. This could see the next-generation iMac Pro launch alongside the Mac Pro update, which we know won't arrive until 2019. A WWDC 2019 launch seems likely. There could be some change to the price if the pricing if the top-of-the-range iMac price changes, and also if the price of the Mac Pro is significantly different when the new model launches. The current top-of-the-range 27in iMac costs £2,249/$2,299 (although it can be specced up to a £4,949/$5,299). You can buy one here. The Mac Pro currently starts at £2,999/$2,999. Obviously the current price reflects the fact that the Mac Pro hasn’t been updated since it launched in 2013. It’s likely that when Apple launches the promised update to the pro Mac it will bump up the price, and at the same time the price of the iMac Pro could go down. The 2017 iMac Pro maintained the iMac look, while changing the inside to accommodate a cooling system which included a high-capacity heat sink and extra venting to allow 75% more airflow and an 80% increase in thermal capacity, as well as using 67% less power than the standard 27in iMac. That was quite a feet and unless Apple completely redesigns the standard iMac in 2018, we think that the iMac Pro is unlikely to receive a redesign so soon after it launched. If big change was in the pipeline, why wouldn’t Apple have just launched a new design with the iMac Pro. The only outward design change with the iMac Pro was the Space Grey colouring. There have been some rumours that this colour choice could come to the iMac, especially now that you can purchase the keyboard and mouse in Space Grey separately, however, we think that the iMac Pro will remain the only Mac desktop available in the darker shade. The current iMac Pro has the same 5K screen as that on the current iMac. It’s an 5,120 x 2,880-pixel resolution screen, and it’s pretty good. Is there room for improvement? Of course. 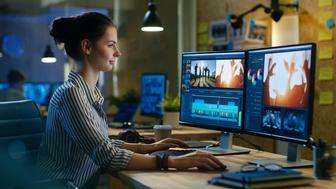 5K is already better than 4K - not least because it gives users room for editing tools beside the 4K video they are editing. Looking at some of the monitors on the market, there are a couple of areas where we could see change. The current model offers 500 nits. Nits is a measurement of brightness. 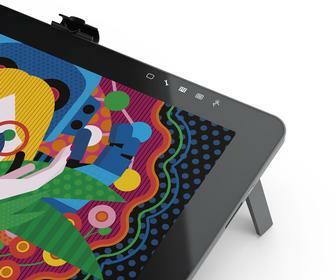 HP’s Book Studio x360 has a 600-nit display and Dell’s Ultrathin 24-inch and 27-inch monitors also offer 600 nits. Those displays also offer 85% DCI-P3 coverage. Since 2015 Apple has supported P3 wide-gamut color space, which is an RGB color space developed for the movie industry. Apple’s Display P3 is a little different to the movie industry’s DCI-P3. The Dell Precision 5530 manages to cover 100% of Adobe RGB, apparently. Adobe RGB has been the de facto standard for a long time - but many also consider sRGB (standard RGB) to be sufficient, and Apple’s displays already exceed the colour gamut of sRGB. Another area where we could see improvements is in 10-bit. Apple’s iMac Pro screen supports 10-bit spatial and temporal dithering - which means that despite being an 8-bit monitor, it is able to display 10-bit colour by switching some pixels very very quickly. The Dell Precision 5530 claims to support true 10-bit colour. The current iMac Pro uses the Xeon W-200 series, based on the 14nm Skylake server microarchitecture and using the Purley platform. The Xeon W family replaced the Xeon E5 which features in the current Mac Pro. Xeon was a new brand for workstation-class processors that sit between server and consumer use. Looking to the future, the Skylake versions of the Xeon W family will be succeeded by Xeon W processors based on the Cascade Lake 14nm microarchitecture. The Cascade Lake Xeon W was expected to be released in mid-2018 - however, it now appears that it has been delayed until 2019. Like Skylake, Cascade Lake based on the Purley platform. The Cascade Lake Xeon W will address Spectre and Meltdown, as well as add support for DDR-T Optane DIMMs and 2933 MT/s DDR4 (up from 2666 MT/s), more on that below. Following Cascade Lake W will come Ice Lake W which will use a 10 nm process and will move from the Purley platform (also known as Xeon Scalable CPUs) to the Whitley platform - but that won’t appear until later in 2019. The 2017 iMac Pro uses the Radeon Pro Vega 56 or 64 graphics processors. These modules support 8GB and 16GB of HBM2 memory. What graphics treats could be in store for the next version of the iMac Pro? In April 2018 Dell announced that it’s new Precision 5530 workstations (coming in August 2018) would ship with Radeon Pro WX Vega M GL graphics (not to be confused with the consumer Radeon RX Vega M GL). We’ve mentioned the Precision 5530 a couple of times already. It’s a 15in laptop, so wouldn’t necessarily be seen as a natural competitor to the iMac Pro, but it appears it is certainly one to watch. The new Cascade Lake Xeon W processors mentioned above will also bring changes to the RAM in the next generation of the iMac Pro. The Cascade Lake Xeon W will add support for DDR-T Optane DIMMs and 2933 MT/s DDR4 (up from 2666 MT/s). Intel has already announced that Optane DIMMs are arriving in the second half of 2018. Traditionally you couldn’t have one without the other, it was a case of using slower NAND for data retention, or DRAM for speed. We'll update this article as soon as we learn more about the future components of the iMac Pro.